SEREMBAN — UMNO deputy president Datuk Seri Mohamad Hasan retained his Rantau state seat after defeating his three challengers in the Rantau by-election today. 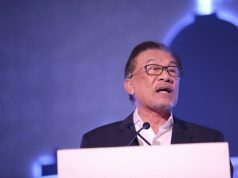 Mohamad, 63, who is assuming the duties of UMNO president, won with a 4,510-vote majority after securing 10,397 votes to defeat Pakatan Harapan (PH) candidate Dr S. Streram, 60, and two independent candidates, housewife R. Malarvizhi, 51, and former lecturer Mohd Nor Yassin, 67. 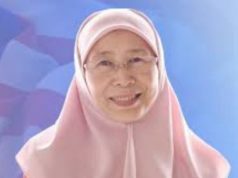 Dr Streram, who is Rembau PKR deputy chief, garnered 5,887 votes, while Malarvizhi and Mohd Nor, received 83 and 79 votes, respectively. 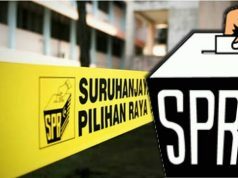 The result of the by-election was announced at 8.45 pm by Returning Officer Mohd Nizam Tajul Arus at the vote counting centre at Sekolah Jenis Kebangsaan (Cina) Bandar Sri Sendayan here. This is Mohamad’s fourth victory in securing the state seat, which he has held since 2004. Next articleவாரணாசி தொகுதியில் மோடியை எதிர்த்து பிரியங்கா போட்டியா?